We came back not long ago from our first boots-on-the-ground event, which was a great success. It was so successful, in fact, that we’re happy to announce that we’re now moving to “Phase II.” You see, “Phase I” of our efforts was building up our audience, garnering what publicity we could, and getting the numbers we needed to get started. While we’ll continue to do that (and hope that you’ll help us in that regard), the time has now come for the next stage on the way to Serenity’s launch day: The transition from a couple of fans and Browncoats having fun online to a loosely-bound “network” of “cells” of Browncoats staging their own tabling events all over the world to collect letters. You will not miss out on the con experience because you were “stuck behind a table.” In fact, we can promise you from experience that you will not only see everything, but actually get more out of your con experience and come away with more stories to tell (ruttin’ Batman signed our petition…). Unlike the other attendees, you’ll have your very own chair to sit in during breaks! Meet new people and have insightful and uplifting conversations with them about space, science, geekery, and mankind’s potential amidst the stars. 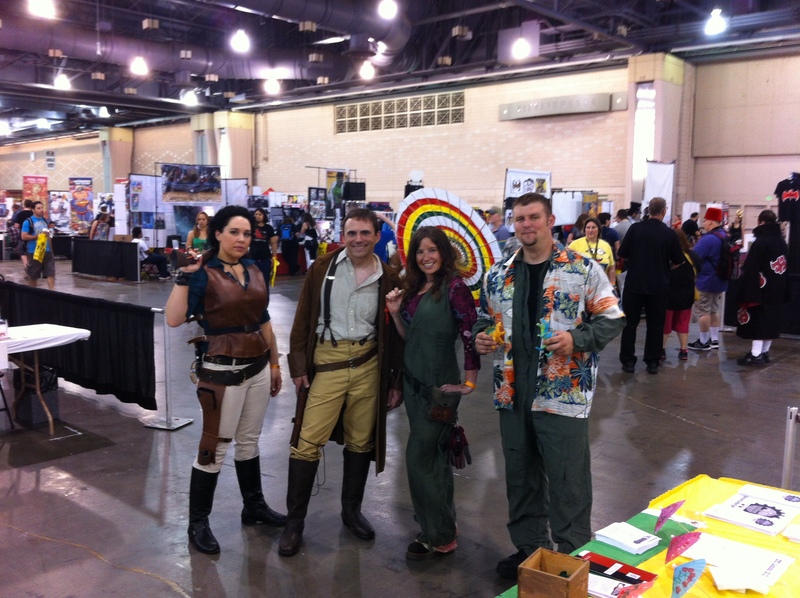 Helping the Browncoats truly rise again. Soft copies of the form letters that we used for you to print and have others fill out and sign. Soft copies of “backup” petitions. While directing people to sign the online petition would be ideal for tracking purposes, you may find yourself in less-than-ideal circumstances, like we did. In the event that you find yourself without an internet connection in the field, use the enclosed Microsoft Access file (the part of MS Office that almost nobody uses) and have it open on a laptop or mobile device for people to fill out, then use the macro buttons to export the signatures to Excel. Should you find yourself with neither internet nor power, have some copies of the blank signature pages within printed out and ready. We wrestled with how to decorate our table in an eye-catching way on a budget, and found that papercraft models were the perfect solution. They look great, and cost you nothing more than a stack of cardstock (we suggest 110-lb thickness, which we found at Wal-Mart for $5) and some time to put it together. Inside, you’ll find excellent models and assembly instructions for the Falcon launch vehicle, Dragon spacecraft, the International Space Station, and Serenity herself. A fully-working, “abandonware” flight simulator program for practicing landing the space shuttle. We’d initially planned on having it at our table to draw people in (“Are you a Leaf on the Wind? Land the Space Shuttle!”). You can use it yourself at your own table. All you’ll need is to set up a laptop or computer, and a joystick. You’ll also need to install the DOSBox DOS emulator we’ve included along with it. We have a lot more that we plan to add to the kit, such as more detailed quick-start instructions for installing and running the simulator, my own tips on landing the shuttle, advice on getting into cons, what to say to people if you’re shy and drawing a blank, and more–we just wanted to get what we had into your hands now so you can act in time for cons and CSTS events. We’ll be talking about this more over the coming days and weeks, and we’re here to help you do the impossible. Download the kit, get out there, and we’ll give you more details and updates in the field.